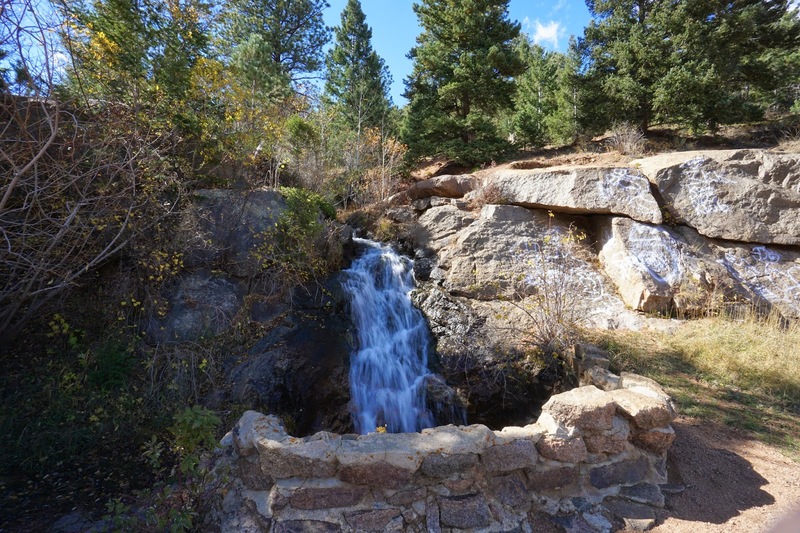 Directions: From I-25, take Exit 140B and follow the signs to North Cheyenne Canon Park. 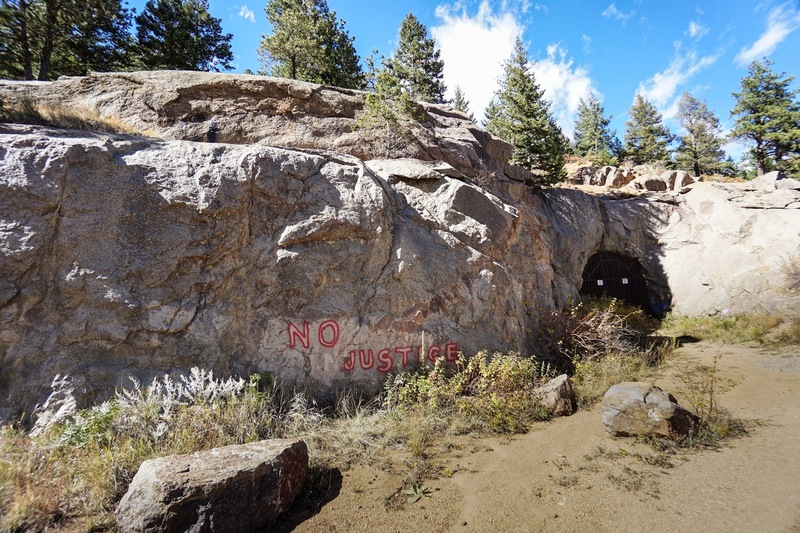 make a right onto W. Cheyenne Road and follow the road to a large sign for the park. 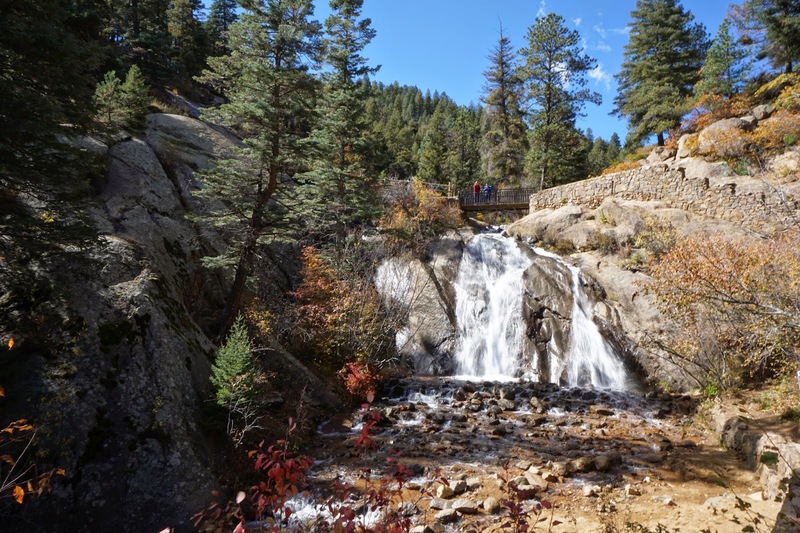 Turn right into North Cheyenne Canon and drive up the road until you reach the Helen Hunt Falls Visitor Center. 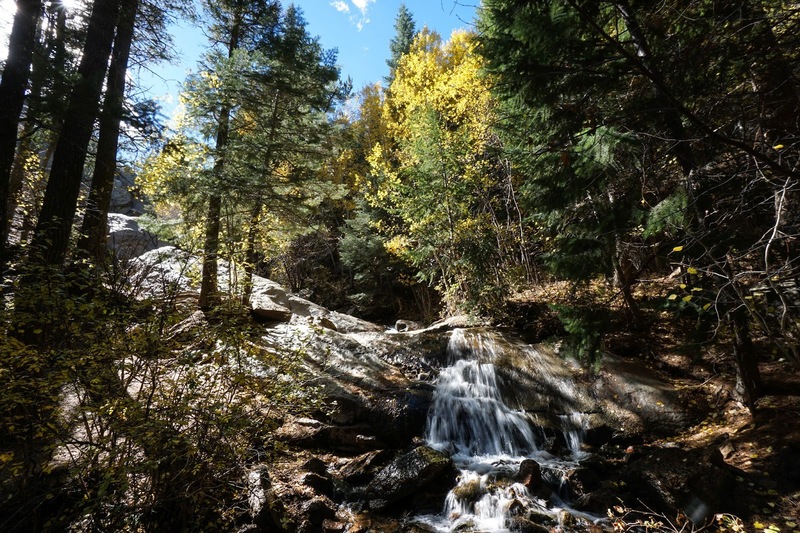 The Silver Cascade Falls Trail is an easy, popular trail that focuses on two beautiful waterfalls. 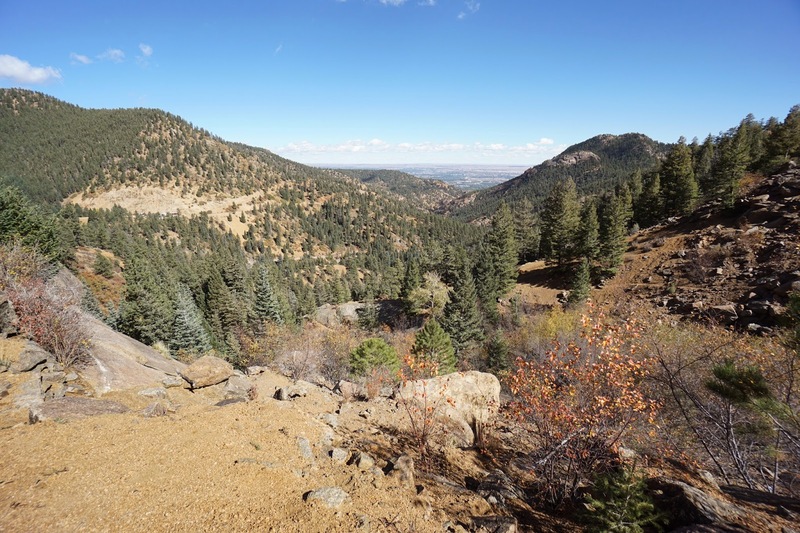 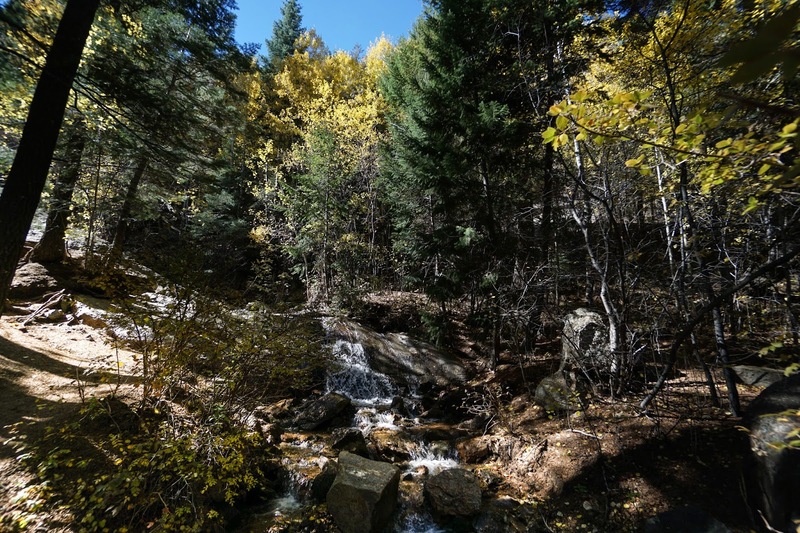 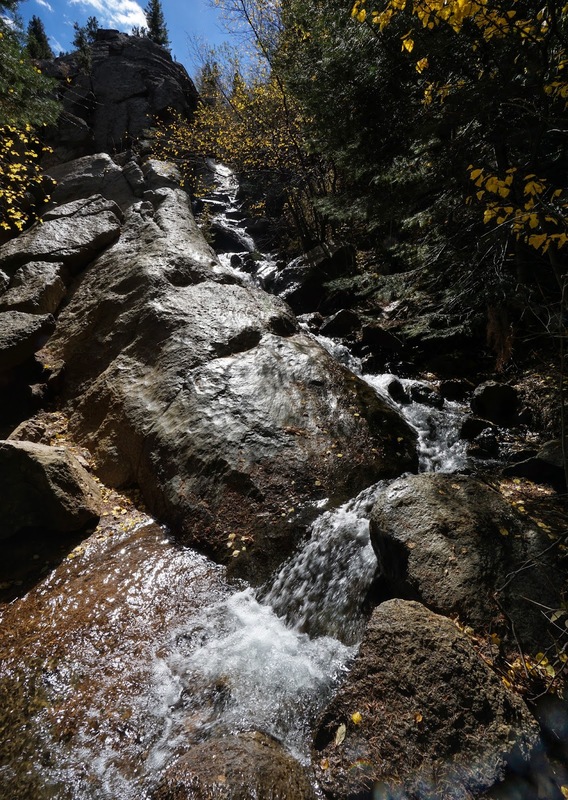 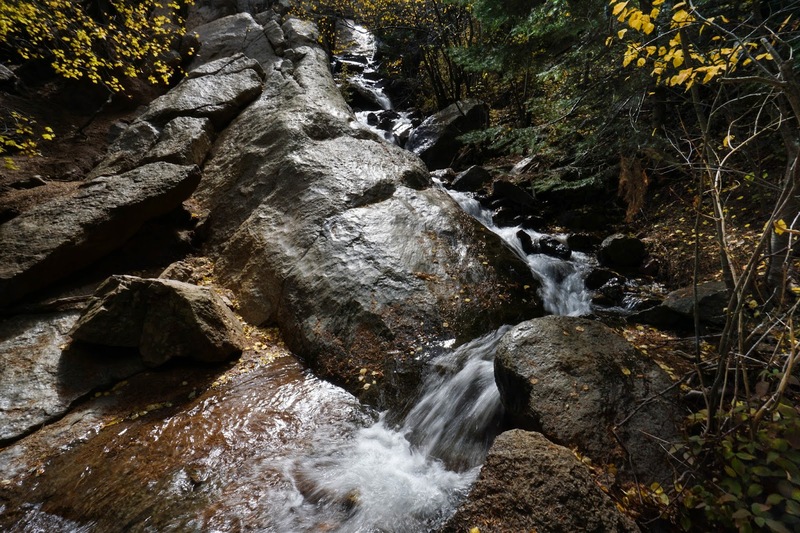 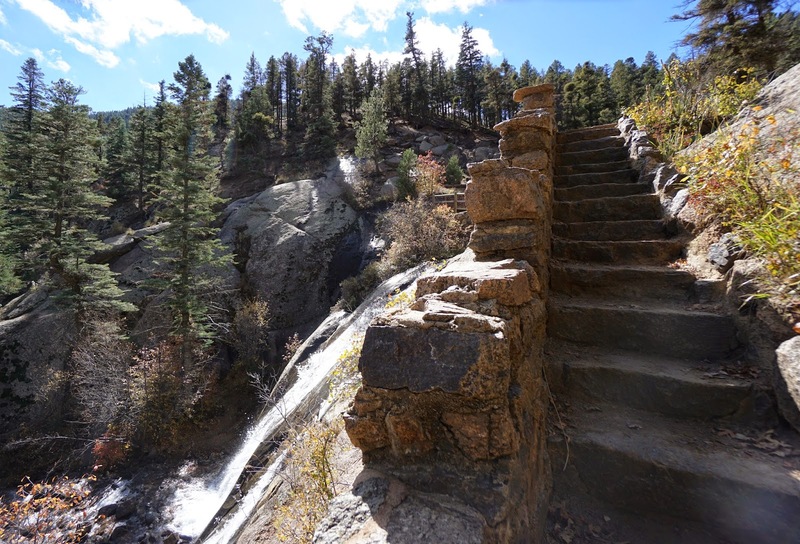 The trail starts at Helen Hunt Falls (no, it's not named after the actress) and follows a well maintained, but steep and times, trail up the creek that feeds the falls. 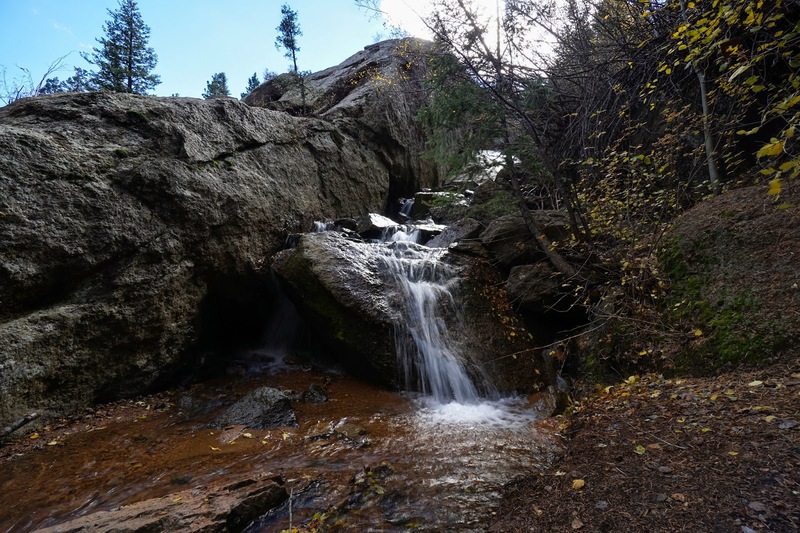 As you follow the trail you leave the creek feeding Helen Hunt Falls and start following the steep dome-like slickrock of Silver Cascade Falls. 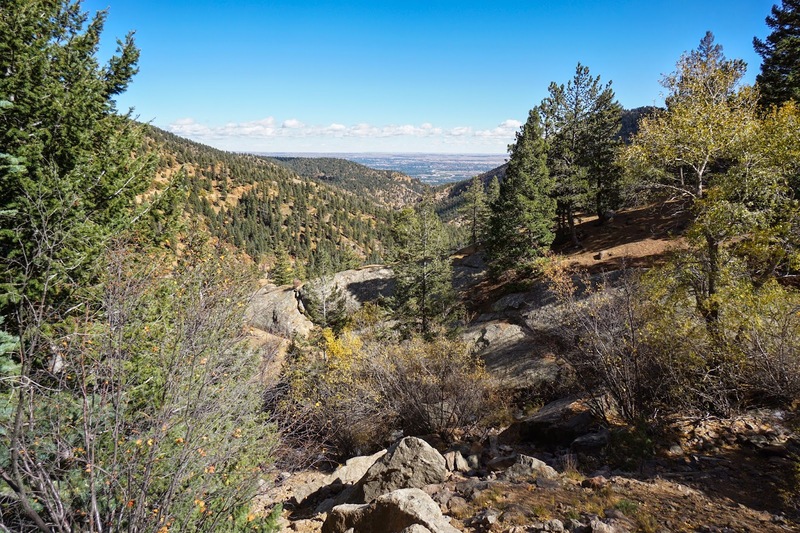 After a short hike you'll wind up at the top of Silver Creek Falls at a brick overlook with a wonderful view back east over North Cheyenne Canon. 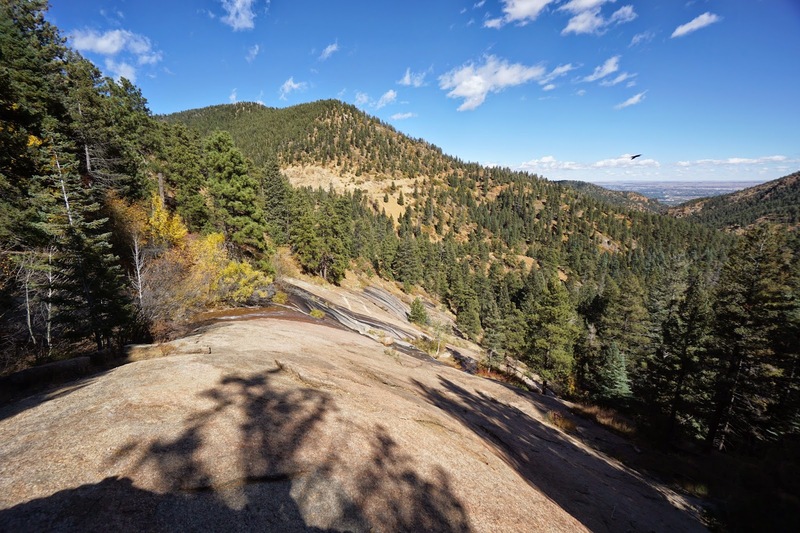 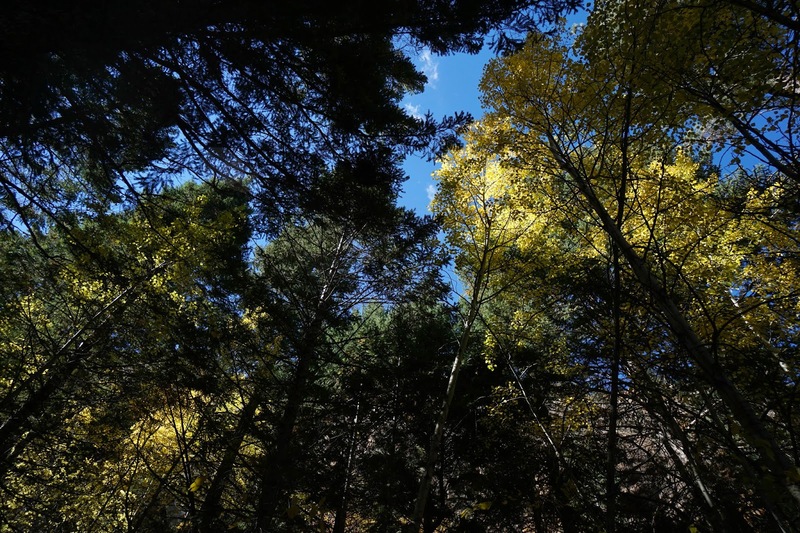 If you are feeling more adventurous, follow the unofficial trail up from the overlook. 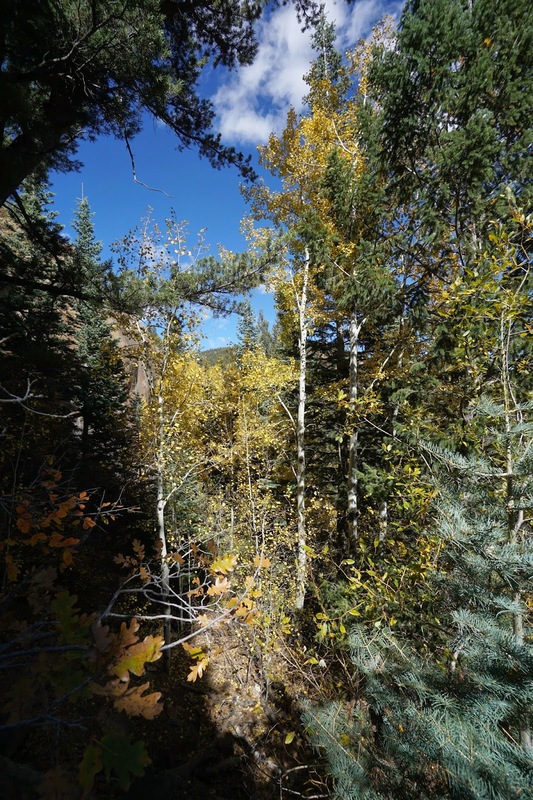 Before you reach the overlook you'll pass over a small wooden foot bridge. 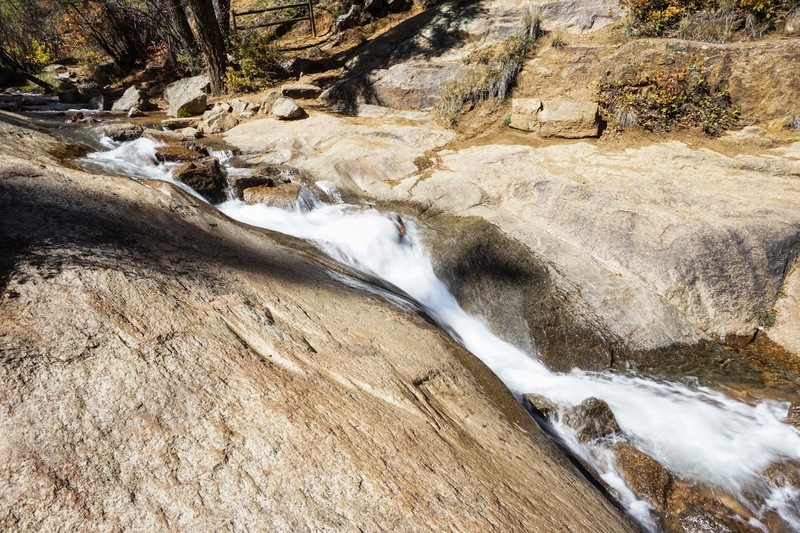 Just before this bridge the trail will head off to the right towards the small waterfall. 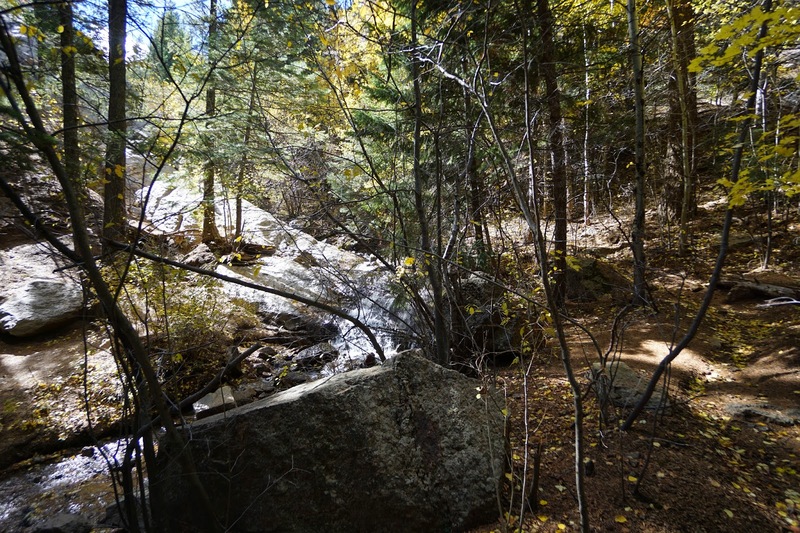 To the right of the falls is a rocky, steep trail. 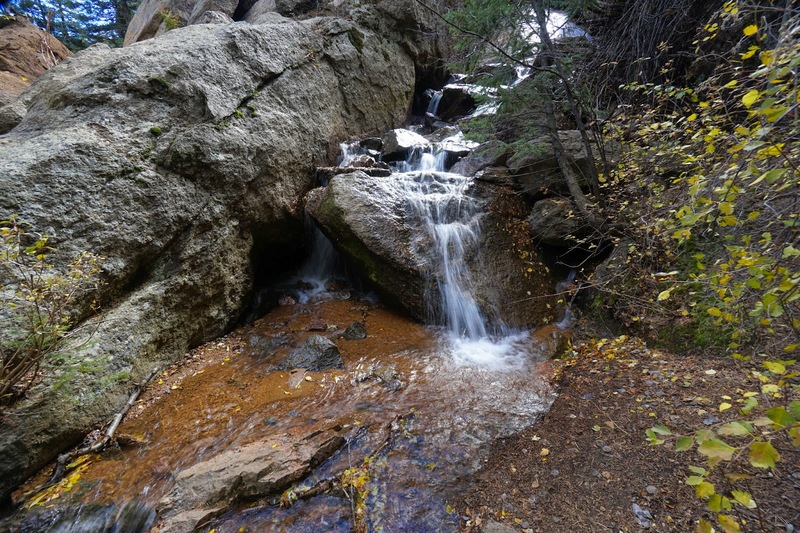 Take this trail up-canyon and you'll trace the creek feeding into Silver Cascade Falls. 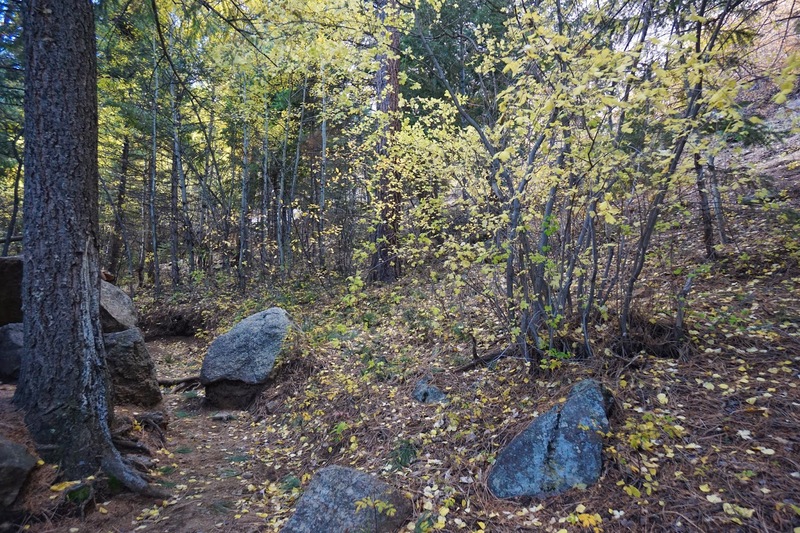 You'll reach a large rock dome and eventually Gold Camp Road and the closed tunnel. 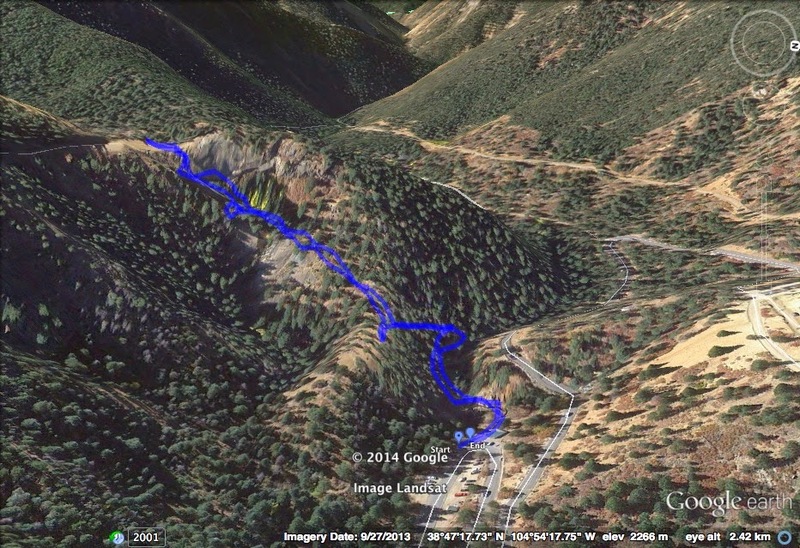 Following the trail to the road gets you almost .5 mi but with 500ft of elevation gain. 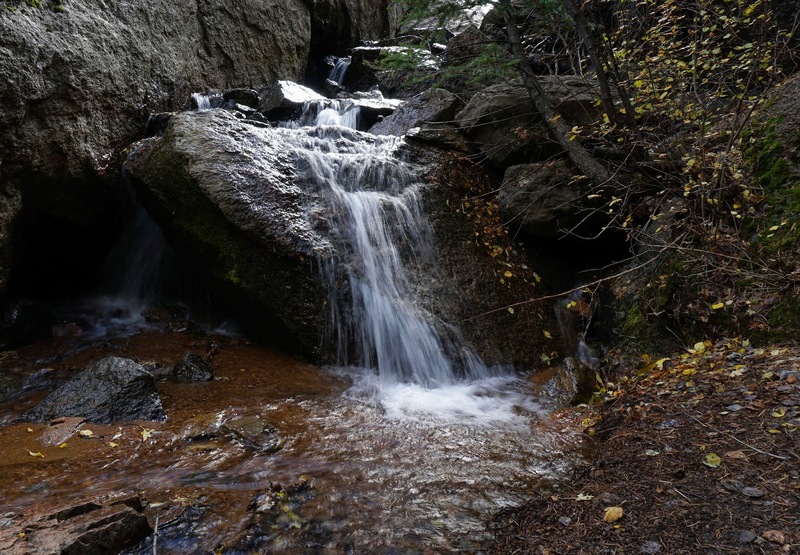 This spot on Gold Camp Road is also the start of the St. Mary's Falls trail which I am eager to explore in the future.